Najay Peace Killed in Durham Shooting. Security Negligence? A shooting outside a Durham apartment complex reportedly claimed the life of 18-year-old Najay Peace Tuesday evening, December 5, 2017. 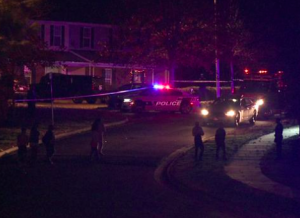 According to ABC 11, gunfire erupted “about 5:15 p.m. in the 300 block of South Woodcrest Street.” Mr. Peace, a young father-to-be, was tragically struck in the shooting. He was transported to the hospital, where he later succumbed to fatal injuries. Police have not yet identified a suspect, per The Herald-Sun reports. Generally, property owners are required to protect all those legally on the premises from any foreseeable harm. Should the facts of this matter reveal that the apartment complex owner failed to provide adequate security to protect those on its premises, the family of Najay Peace may seek justice and elect to pursue legal claims for his wrongful death.